A hyper-fast quantum computer is the digital equivalent of a nuclear bomb; whoever possesses one will be able to shred any encryption and break any code in existence. The winner of the race to build the world's first quantum machine will attain global dominance for generations to come. The question is, who will cross the finish line first: the U.S. or China?In this gripping cyber thriller, the United States' top-secret quantum research labs are compromised by a suspected Chinese informant, inciting a mole hunt of history-altering proportions. CIA officer Harris Chang leads the charge, pursuing his target from the towering cityscape of Singapore to the lush hills of the Pacific Northwest, the mountains of Mexico, and beyond. The investigation is obsessive, destructive, and--above all--uncertain. Do the leaks expose real secrets, or are they false trails meant to deceive the Chinese? 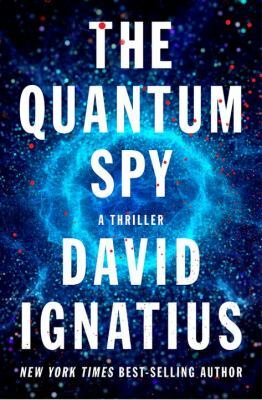 The answer forces Chang to question everything he thought he knew about loyalty, morality, and the primacy of truth.Grounded in the real-world technological arms race, The Quantum Spy presents a sophisticated game of cat and mouse cloaked in an exhilarating and visionary thriller.